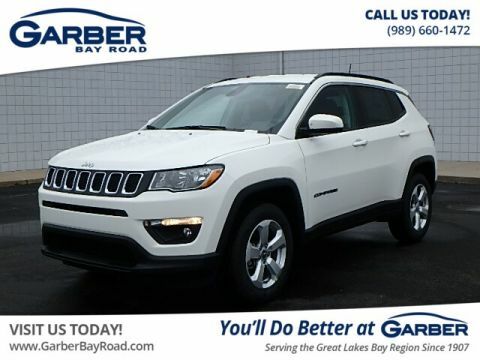 The new Jeep Compass is expertly blending revolutionary refinement with unrelenting performance. 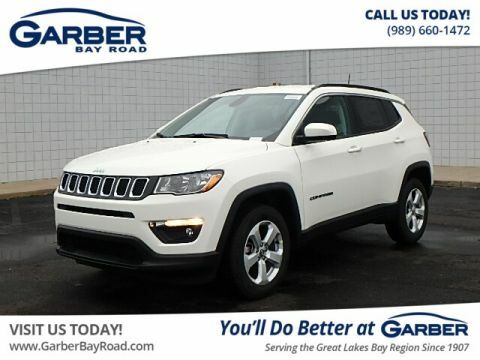 Get ready to take the roads by storm in the new Jeep Compass, the compact SUV designed for modern adventures. 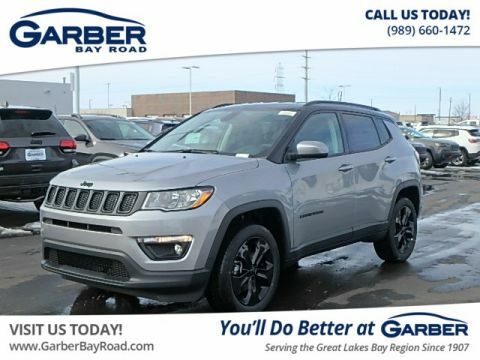 Adding a contemporary spin to the Jeep brand styling you love, the Compass is instantly eye-catching, with its athletic stance, aerodynamic shell, and iconic seven-slot grille. 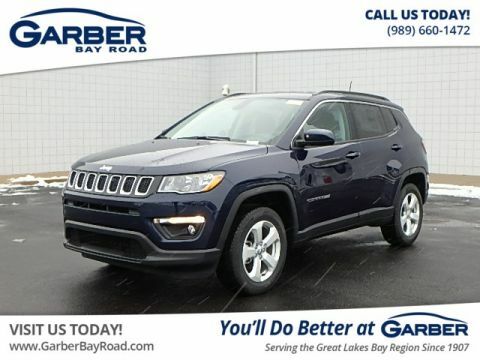 Slip behind the wheel and fall in love with the luxurious interior, featuring heated leather seats, a sculpted dashboard, and dual-panel sunroof. Whether you’re camping in the Thumb, commuting to Midland, or meeting friends in Bay City, the new Compass ensures a comfortable and stylish ride. 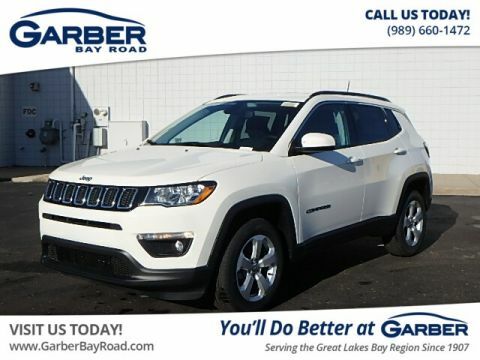 With the new Jeep Compass, you’re free to bring more along for the ride. Lower the 60/40 split-fold rear seats and you’ll discover an impressive 59.8 cubic feet of available storage space. If that’s not enough room for you, there’s also an adjustable cargo floor that you can raise or lower with ease, so taller items can fit more comfortably. 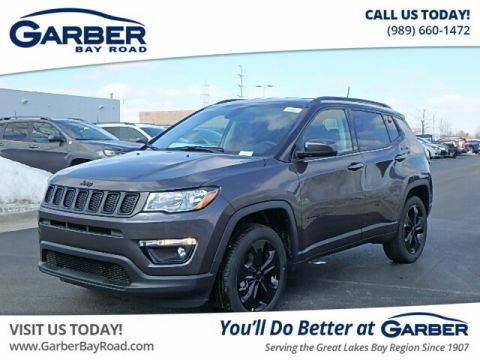 All this and more is waiting for you in the new Jeep Compass, available to test drive today at Garber Chrysler Dodge Jeep RAM in Saginaw. 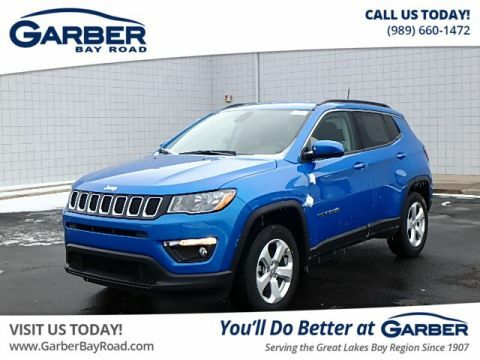 Contemporary design and bold styling are apparent everywhere you look on the new Jeep Compass. 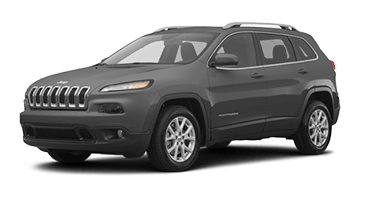 Featuring alluring lines and contours that craft an aerodynamic frame, athletic stance, and classic seven-slot grille, this compact SUV demands to be looked at again and again. 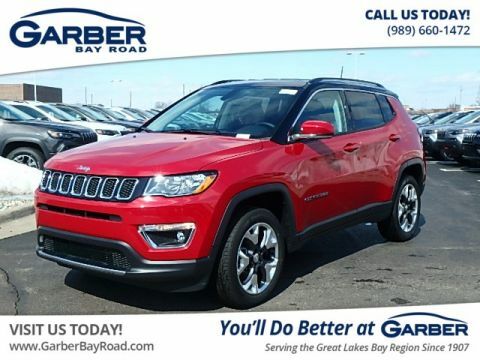 The new Jeep Compass is easy on the eyes, taking the classic Jeep brand style that you love and adding a contemporary twist. 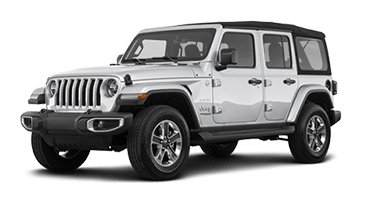 The muscular frame, wide stance, and iconic seven-slot grille ensure you remain the center of attention wherever you go. Cast bright light further down the road in the new Jeep Compass, which features available High-Intensity Discharge (HID) projector headlamps. This compact SUV also boasts dazzling LED tail lamps, as well as LED daytime running lamps, so you’ll be visible no matter how dark it may get. Never worry about struggling to get the backend open when your hands are full, thanks to the Jeep Compass’s available power liftgate. Just a press of a bottom is all it takes to open the back hatch, making it easy to load and go. 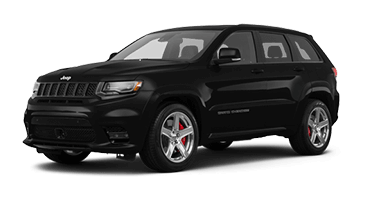 Choose how you spin, with any one of the new Jeep Compass’s eye-catching wheel options. 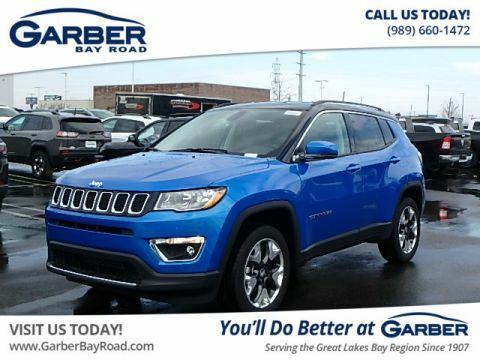 Offering 8 different designs that look at home in the city or off the road, it’s just one more way you can truly make the Jeep Compass yours. 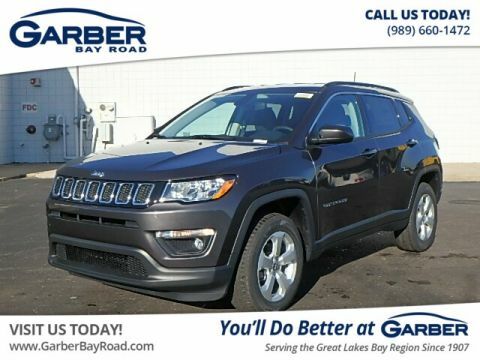 Cruise around town in a Jeep Compass that’s as unique as you are. Featuring a wide spectrum of both bright and dark colors, you can choose the color that best fits your tastes and craft a Compass you’ll love seeing and being seen in. Adventure awaits; ensure you arrive in style. 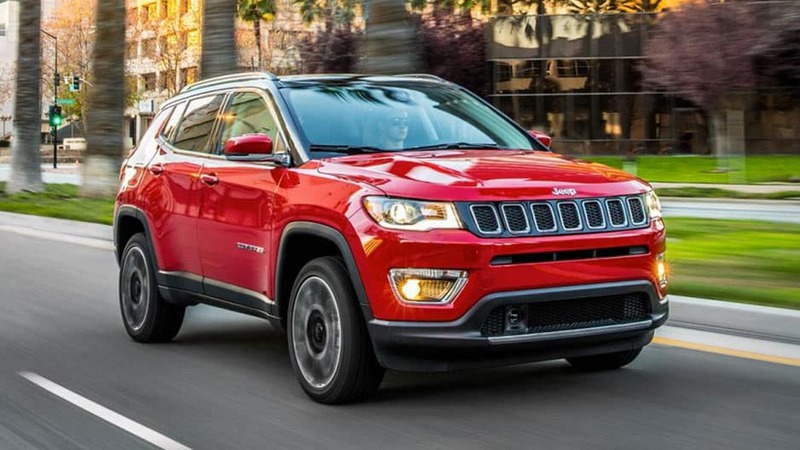 The new Jeep Compass is the latest in a long line of stylish yet versatile SUVs. Featuring the impeccable details you want, such as premium leather and contrast stitching, the new Compass also offers up to 59.8 cubic feet of available storage space, so you can bring everything along for the ride. 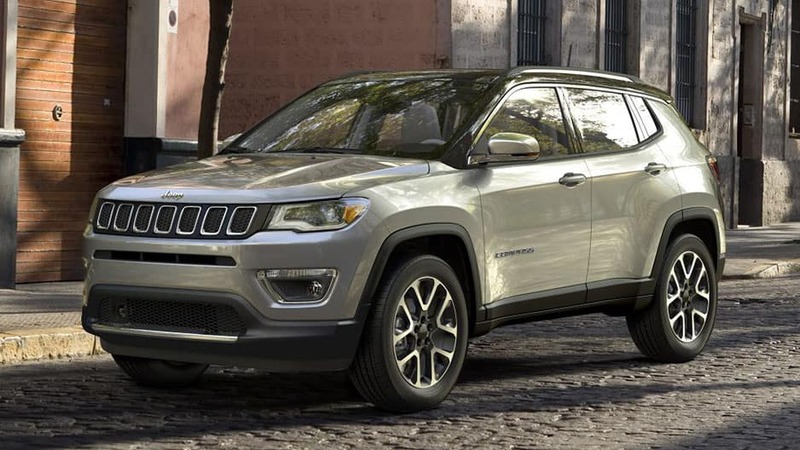 Just because the new Jeep Compass is technically a compact SUV, doesn’t mean you have to leave anything behind. Lower the 60/40 split-fold rear seats and you’ll unlock an expansive 59.8 cubic feet of storage space, more than enough to fit your camping gear or latest shopping haul. The contemporary styling of the exterior follows you into the main cabin of the new Jeep Compass, which sports the ideal cockpit for any adventure. 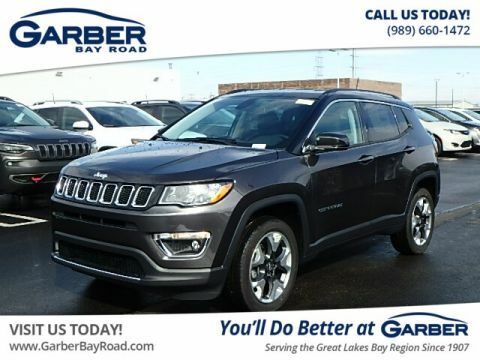 Boasting a sculpted dashboard complete with aluminum trim, premium heated leather seats, and stylish contrast-stitching, this compact SUV ensures every trip is a comfortable one. Get a taste of the great outdoors without having to roll down your windows with the available Panoramic Dual-Pane Sunroof in the new Jeep Compass. Press a button to open the front panel, or keep it closed and bask in the sunlight; the choice is yours with this compact SUV. Maximize your cargo versatility with the new Compass’s adjustable cargo floor. Give yourself more room by sliding it up or down, so you can accommodate taller items or additional gear with ease. Gone are the days of struggling to find a comfortable middle ground for the interior temperature. 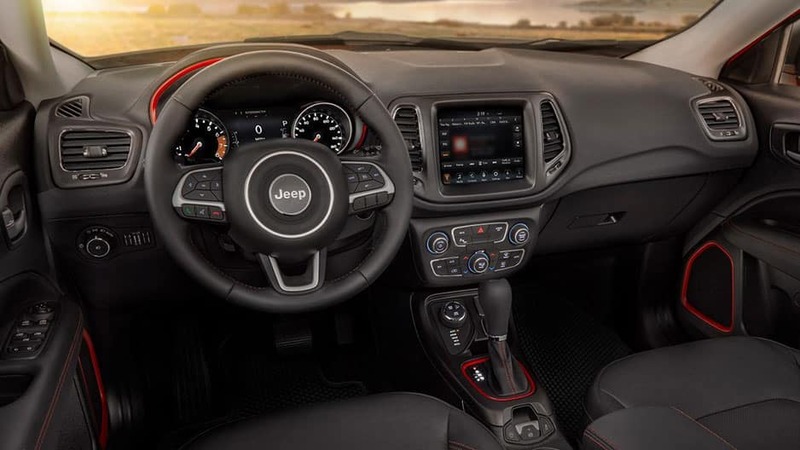 The new Jeep Compass comes equipped with Dual-Zone Automatic Temperature Control, which allows you and your front passenger to control individual climate settings, so everyone can drive happy. Jam out to your favorite tunes, chat with a friend, and explore uncharted territory with the new Jeep Compass. Featuring innovative technology such as Uconnect® Multimedia with available Navigation, BeatsAudio™ Premium Sound, and a customizable Driver Information Cluster, the new Compass is the ultimate driving companion. Keep your entertainment in easy reach, courtesy of the Uconnect Multimedia system. Simply sync your mobile device via Apple CarPlay™ or Android Auto™ and enjoy the ability to stream music, answer phone calls, and navigate new terrain right from the 8.4” touchscreen. Bring the concert on the road with you, courtesy of the available BeatsAudio™ Premium II Audio System. 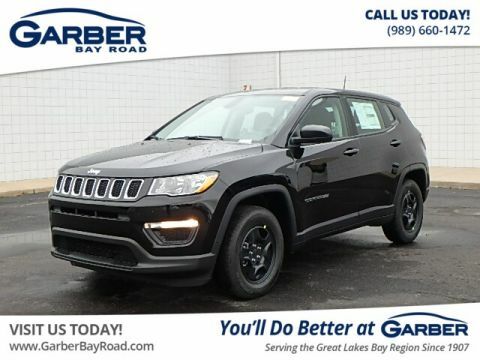 Featuring nine speakers, a 12-channel amp, and a booming subwoofer, you’ll be surrounded by crystal-clear sound wherever you’re sitting in the new Jeep Compass. Opt for the available 7” Multiview Driver Information Digital Cluster Display to keep important data front and center. This fully configurable display allows you to tailor your personal settings to show exactly what you want to see, whether that’s detailed Navigation, media information, or the current Selec-Terrain® setting. 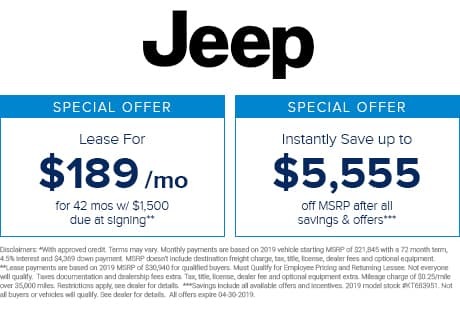 Entertainment options are endless in the new Jeep Compass, which features a free 1-year subscription to SiriusXM Satellite Radio’s All-Access Package. Enjoy over 150 channels of commercial free music, as well as talk, sport, and news radio while you’re out exploring unknown terrain. 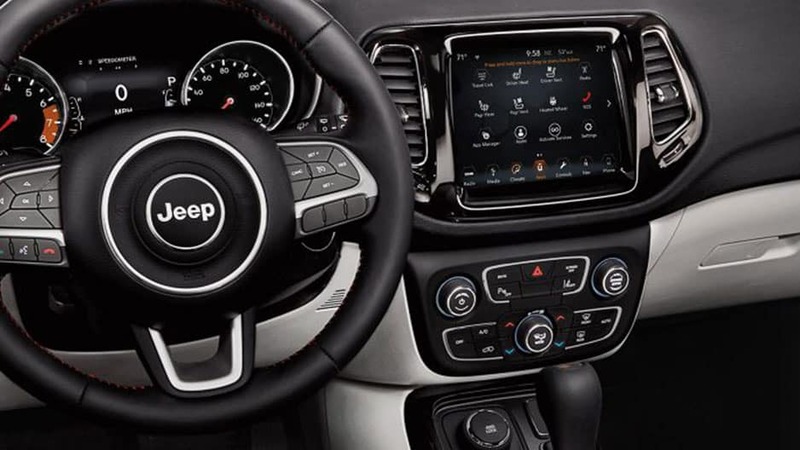 Keep your hands securely on the wheel where they belong, while still being able to control volume, cruise control, and the Driver Information Digital Cluster Display, thanks to the new Jeep Compass’s steering wheel mounted controls. 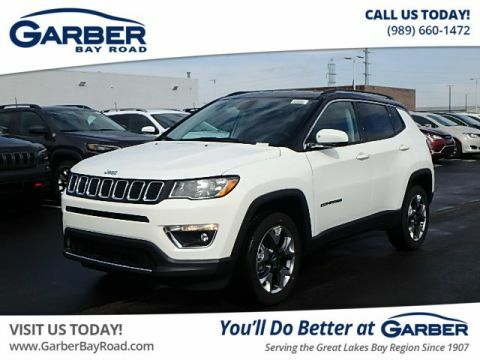 Travel anywhere with peace of mind in the new Jeep Compass, which continues the Jeep tradition of providing the latest in advanced safety technologies. Featuring over 70 available safety and security features, you know the Compass has your back, both on and off the road. 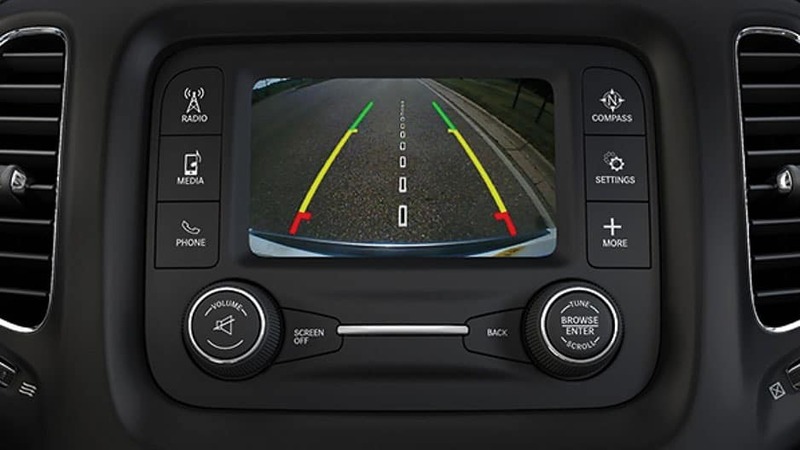 With Forward Collision Warning in the new Jeep Compass, you’ll have an extra set of eyes watching the vehicle ahead of you. Using sonar and radar technology, the system can detect and warn you if it senses a potential front-end collision is imminent. If you don’t respond to its alerts, the system automatically engage the brakes to lessen potential damage. Safely switch between lanes courtesy of the available Blind Spot Monitoring system, which utilizes radar technology to detect when there’s a vehicle in your blind zone, alerting you with both an illuminated icon and an audible chime. Backing out of any driveway is a breeze with the Parkview® Rear Back-Up Camera. 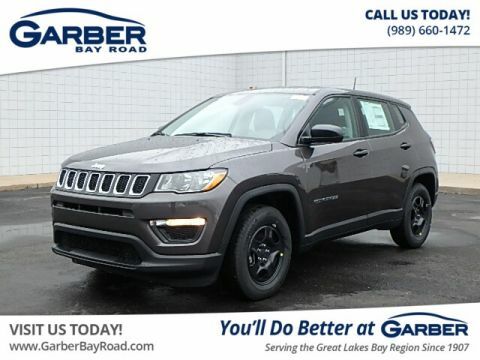 Simply place the new Jeep Compass in reverse and the 8.4” touchscreen will display a live feed of the area directly behind you, complete with dynamic guiding lines to lead the way. 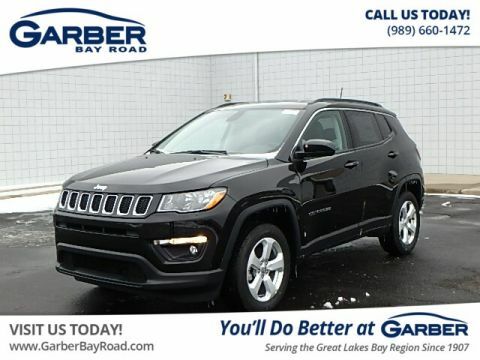 The new Jeep Compass comes equipped with technology to make backing out of tight parking spots or crowded driveways easy. Parksense® Rear Park Assist detects stationary objects behind you and warns you if you’re getting too close to them while reversing. Meanwhile, the Rear Cross Path Detection system scans to see if there’s vehicles approaching from behind, perfect for reversing out of packed parking lots. Combining high-strength steel with other advanced materials, the new Jeep Compass creates a protective shell around its occupants. Further protecting you are the seven standard airbags, strategically placed throughout the cabin to ensure optimal deployment. 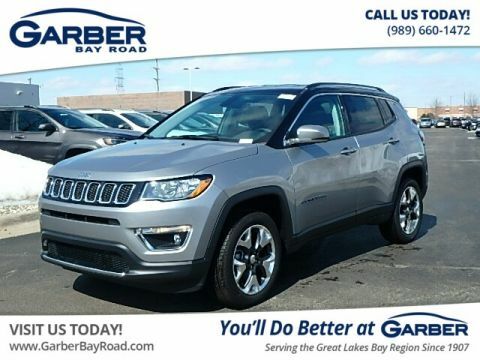 Whether you’re cruising through the city or exploring off the beaten path, the new Jeep Compass is ready to tackle any adventure. 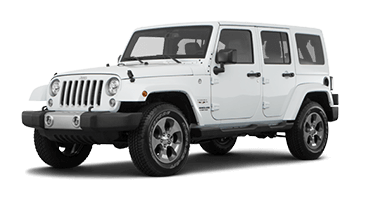 Boasting enhanced performance features such as the Selec-Terrain® Management System, Hill Descent Control, and Jeep Active Drive, no landscape is ever off limits again. Just because the new Jeep Compass is an SUV, doesn’t mean it can’t be fuel efficient as well. 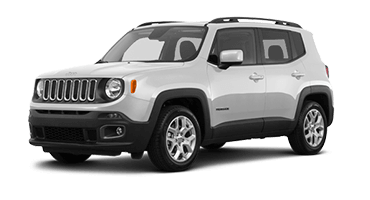 Paired with the 2.4L Tigershark® Multiair® 2 Engine, the Compass achieves best-in-class 4×4 fuel economy at 32 MPG highway. Spend less time at the pump, and more time enjoying the open road. Be prepared for any road condition with the Selec-Terrain Traction Management System in the new Jeep Compass. This system allows you to easily switch between six settings, such as snow, sand, and rock, to optimize driving performance across a variety of road surfaces. 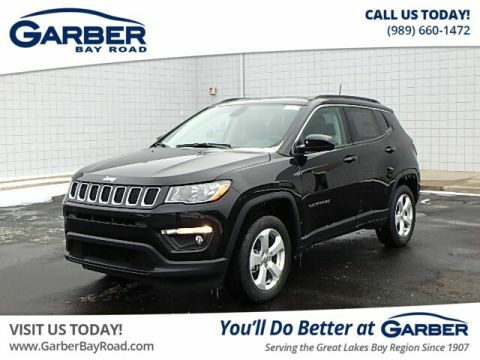 Bring more along for the ride in the new Jeep Compass, which is capable of towing up to 2,000 lbs. Feel free to get away for a weekend, and still bring your small boat, jet skis, or snowmobile along for the ride. 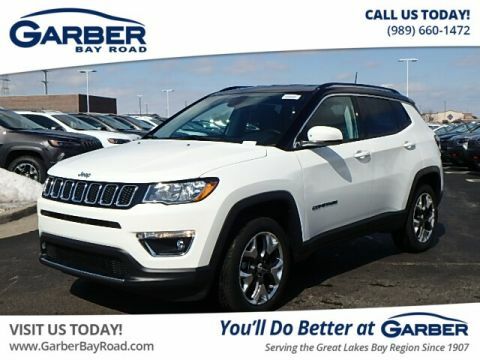 Perfect for those who like to go off-road, Hill Descent Control in the new Jeep Compass makes it easy to navigate down steep slopes. The system monitors throttle, speed, and braking, so you can concentrate on steering without having to ride on the brakes. 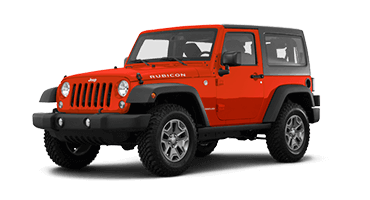 Never sacrifice your Compass’s efficiency for 4×4 capability, thanks to the available Jeep Active Drive. This system has a rear axle disconnect that seamlessly switches between two- and four-wheel drive, improving efficiency when 4×4 power isn’t needed. The fun is just getting started in the new Jeep Compass, which transforms any trip into a good time. Bring the concert on the road with you, thanks to the innovative Uconnect® Multimedia System. Sync up your mobile device and enjoy your favorite tunes blasting through the BeatsAudio® Premium Sound, which surrounds you in high-quality audio. And since you never know where the road is going to take you, the Jeep Compass is prepared for any landscape. Featuring the Selec-Terrain® Traction Management System, you can easily switch between six different settings to always enjoy the smoothest ride. Don’t just take our word for it though. 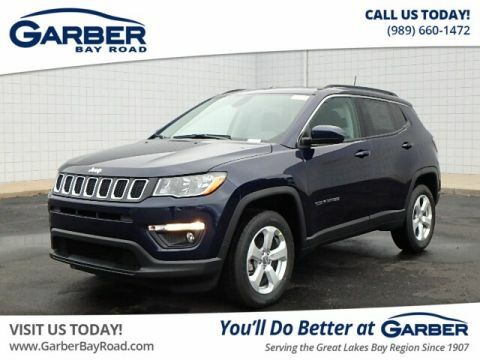 Stop in to Garber Chrysler Dodge Jeep RAM today and take the new Jeep Compass for a test drive.